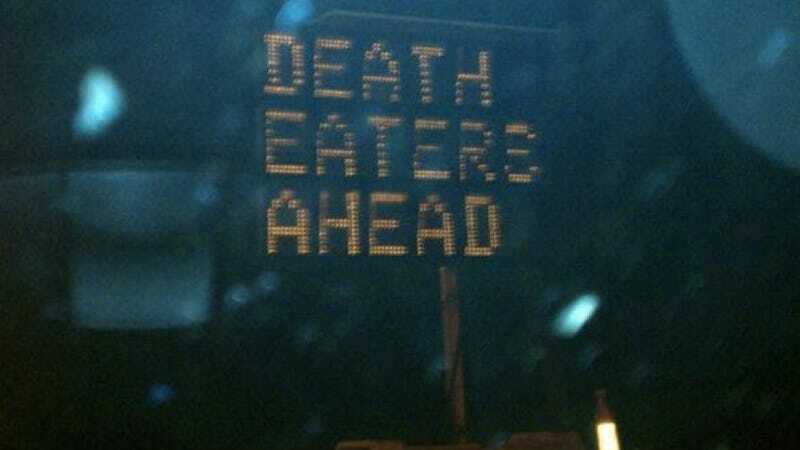 In yet another excellent road sign hack, Kentucky wizards have been kind enough to warn locals about their impending doom. Unfortunately, the Muggles were not amused. This sign only stayed up for a few hours before it went back to broadcasting information about road conditions and other nonsense that couldn't possibly protect anyone from Voldemort.